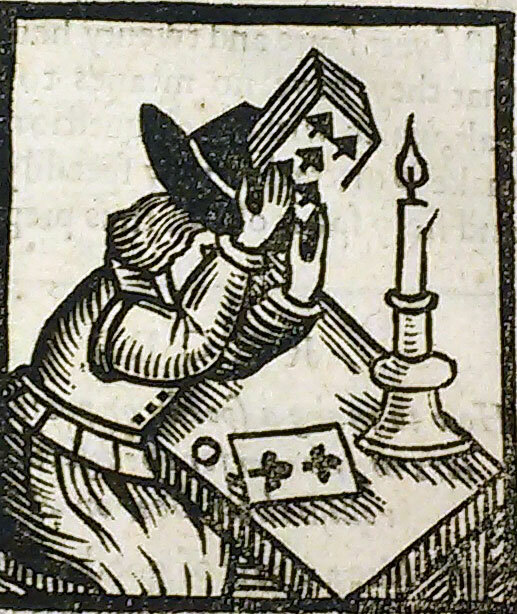 For centuries, the ancient traditions of craft guilds and trade secrets made the discovery and study of printing, papermaking, and the allied arts illusive, even quasi-mystical, inviting evocative terms into the lexicon like the black art, blackletter, printer’s devil, printing chappel, hell box, and coffin. These associations were with us from the start. 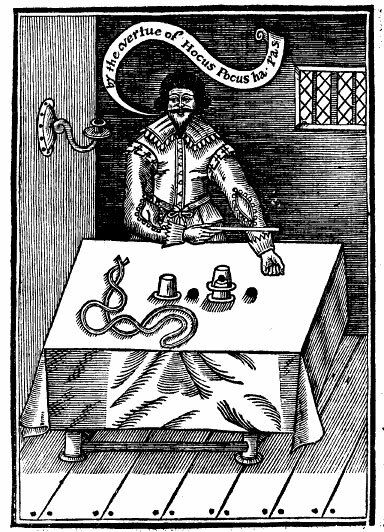 In the opening preface to the 1677 edition of Mechanick Exercises: or, The Doctrine of Handy-works, author and printer Joseph Moxon noted, “handy-craft signifies cunning or sleight, or craft of the hand, which cannot be taught by Words, but is only gain’d by Practice and exercise.” Moxon is referring to all the handy-crafts, but devotes a full volume to the history and practice of printing because there is so much to learn. 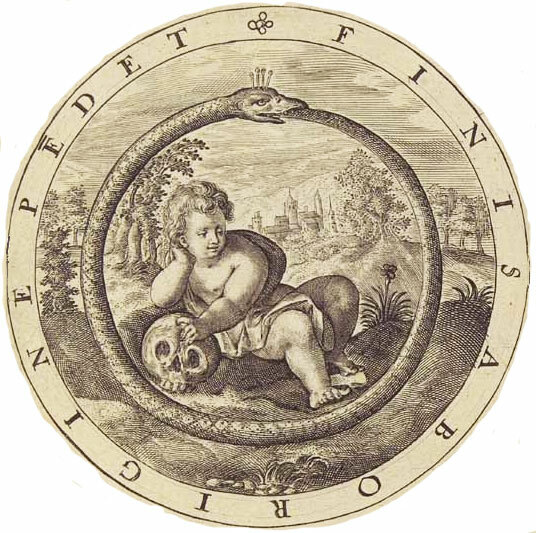 APHA invites you to join us as we explore printing history through the lens of magic, mysticism, secrecy, alchemy, curiosity, and wonder. Registration is limited to 150 participants, and early registration is strongly encouraged. Registration fees covering all programs, receptions, Friday and Saturday transportation to and from the Huntington, and Saturday’s box lunch are $215 for current members of APHA, $315 for non-members, $120 for current student members*, and $140 non-member students. During registration you will have the opportunity to choose an optional field trip to the International Printing Museum or a photo-forensic tour on Friday, and a field trip to the Getty Center or a letters walking tour of Old Town Pasadena and visit to Archetype Press on Sunday. Please add the options you would like when you register. Space is limited. Complimentary shuttle buses will run between the Westin Pasadena in downtown Pasadena and the Huntington Library on Friday and Saturday. For conference attendees who register in advance for the optional trips to the International Printing Museum on Friday, and the Getty on Sunday, shuttle buses will also be available. The Huntington provides free parking on a first-come, first-served basis. Taxicabs and private car companies are available. San Marino is adjacent to Pasadena and northeast of Downtown Los Angeles. The Westin and Hilton hotels in downtown Pasadena are close to several other museums and many restaurants, and less than 30 minutes from Downtown Los Angeles via the light-rail Gold Line. The region is served most directly by the Bob Hope Airport in Burbank (BUR) and the Los Angeles International Airport (LAX). Taxi, private car services, and SuperShuttle are available from all five Southern California airports. For those interested in taking public transportation, the Metrolink (commuter rail service) and Amtrak (Pacific Surfliner) both stop near the Bob Hope Burbank airport, with a final stop at Union Station in downtown Los Angeles (a beautiful and recently restored architectural gem). From there you can take the Gold Line (light rail) to the Memorial Park station in Pasadena and walk about half a mile to the hotel. If you are flying through LAX, you can take the FlyAway bus to Union Station and then take the Gold Line to the Memorial Park station. Travel on the Gold Line requires the purchase of a TAP card ($1) that can be used on a single ride with a free transfer ($1.75) or can be filled with multi-day passes. Lodging options include the Westin Pasadena, the Hilton Pasadena, as well as the historic Langham Hotel. For the convenience of conference attendees, we have set aside blocks of rooms at these hotels. Early reservations are strongly advised in order to take advantage of a limited number of rooms available at discounted conference room rates. This hotel serves as the shuttle stop location for the conference. Room rate $149/night (single/double) for October 6-8, 2016. Reserve your room before September 5, 2016. To book call Reservations directly at 866-837-4181 and identify that you are part of APHA 2016. The Westin is located in the heart of downtown Pasadena, within easy walking distance to numerous shops and restaurants. Rooms feature contemporary furnishings, work desks, coffeemakers, and flat-screen TVs. There is complimentary WiFi in the lobby. In-room spa treatments are available. Amenities include a business center, heated outdoor pool and an exercise room. There’s a lobby bar serving snacks, plus Californian cuisine in the Spanish-style restaurant with a shaded patio. Reservation requests received after 5:00 pm PDT on September 5, 2016, will be accepted on a space available basis and at the regular room rate. To avoid an early check-out fee of $100 guests should inform the hotel at or before check-in of any change in the planned length of stay. Room rate $159/night for a single/double; $169/night for triple; $179/night for quad for October 6-8, 2016. Reserve your room by September 8, 2016. To book call Reservations directly at 626-577-1000 or toll free 1-800-HILTONS and identify that you are part of APHA 2016. Located just under half a mile from the Westin Pasadena (about a 9-minute walk), the Hilton offers classic decor and custom-designed beds, plus 42-inch flat-screen TVs and complimentary wifi for conference attendees ($9.95/per day value). Amenities include a Californian restaurant, coffee shop and lobby lounge, plus a heated outdoor pool, hot tub and 24/7 fitness center. There’s also a business center. Reservation requests received after 12:00 am PDT on September 8, 2016, will be accepted on a space available basis and at the regular room rate. To avoid an early check-out fee of $100 guests should inform the hotel at or before check-in of any change in the planned length of stay. Room rate $235/night (single/double) for October 6-8, 2016. Reserve your room by September 6, 2016. To book call Reservations directly at 626-568-3900 and reference American Printing History Assoc. Room Block. Originally designed by Myron Hunt, this historic, luxury hotel and resort is less than three miles from the Huntington Library. Beautifully landscaped with two restaurants, a bar, and afternoon tea, the hotel also offers a fitness center, pool, and tennis courts. The Langham offers complimentary hotel shuttles to and from the Huntington. Reservation requests received after 5:00 pm PDT on September 6, 2016, will be accepted on a space available basis and at the regular room rate. Scholar, historian, actor, and preeminent sleight-of-hand artist Ricky Jay is a serious collector of books, broadsides, prints, photographs, and ephemera on the history and practice of magic, deception, unusual entertainments, and remarkable characters. He will share some highlights of his personal collection and discuss with Alan Jutzi what he collects and why. Experience the Black Art of Printing firsthand during this very special tour of the International Printing Museum, one of the world’s largest collections of working, antique printing machinery. Curator Mark Barbour will be demonstrating the “alchemy of Gutenberg” through hand-casting type, along with printing pages of the Bible on a replica of Gutenberg’s press. 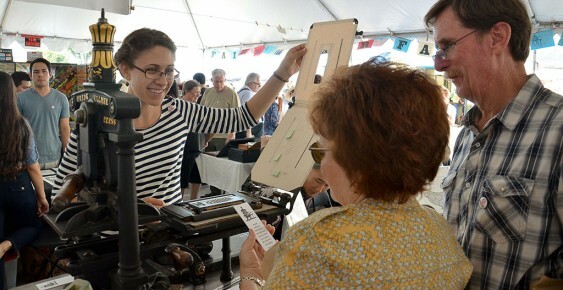 Guests will participate in printing keepsakes on a range of presses including an 1824 Columbian, an Albion, the Grasshopper newspaper press of 1880, even an English parlor press from the era of Charles Dickens. Other demonstrations will include typecasting on a Linotype and Ludlow and setting wood type for a broadside on a Vandercook press. The three-hour tour will be an experience especially crafted for members of APHA and their guests. Come and be a Printer’s Devil for a day! Lunch will be provided. “Dr. L. Bendikson with camera for microphotography.” Undated. photCL 107 vol13 pg26 (140). The Huntington Library, San Marino, California. 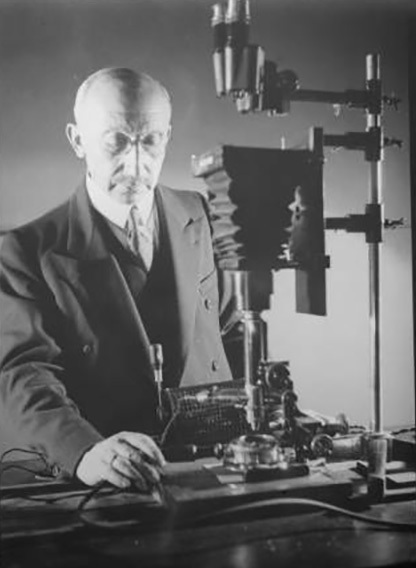 Dr. Lodewyk Bendikson (1875-1953), the founder of the Huntington’s photographic department, was a pioneer in the application of photographic techniques for the physical analysis and reproduction of documents. This tour, combining lectures and demonstrations, focuses on Bendikson’s use of microphotography, filters, and infrared and ultraviolet rays to analyze altered and damaged documents, detect forgery, and expose secret writing. Attendees will receive an insider’s look into the Huntington’s Imaging lab and will view collection materials, facsimiles, and archival documents relating to Dr. Bendikson’s work. This tour will be presented by Laura Stalker, Avery Associate Director and John Sullivan, Head of Imaging. 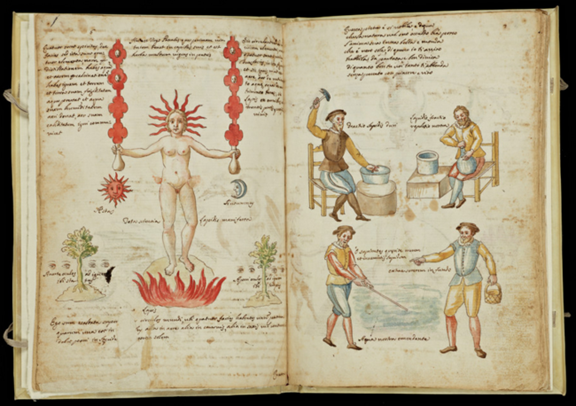 Shrouded in secrecy, alchemy was a mysterious mix of science and spirituality and the ancestor of modern chemistry. Its practice was historically considered to be an art. In mediaeval Europe, it was called “The Great Art.” In Islam, it was simply “The Art.” With shifting interpretations that straddle art, science and natural philosophy, and drawing primarily from the collections of the Getty Research Institute and the J. Paul Getty Museum, The Art of Alchemy will display the critical impact of this arcane subject on artistic practice and expression from Greco-Egyptian antiquity, through mediaeval Central Asia, and the Islamic world to European art from the Renaissance through the Enlightenment and beyond. This curator-led tour by David Brafman, is a sneak peek for APHA conference attendees before it opens to the public on October 11th. There will be an opportunity for lunch (on your own) and time to visit other galleries. Led by Paul Shaw, this walk will take place principally in Old Town and in the area between it and the South Campus of ArtCenter College of Design. It will conclude with lunch and printing demo at Archetype Press, hosted by Gloria Kondrup. 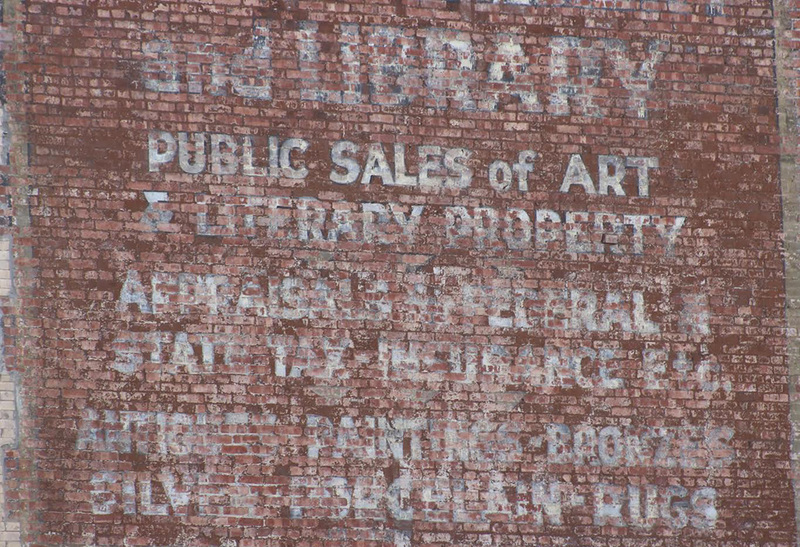 The focus of the walk will be on ghost signs—faded painted signs on the sides of buildings—and their cousins, other examples of lettering that have survived the demise of the businesses that commissioned them. Thus, we will look for the marks that cast-iron manufacturers affixed to buildings, lettering in terrazzo and tile in the entryways of stores and other businesses, inscribed and cast lettering with the names of defunct companies, and any other instances of urban graphic detritus providing us with a window onto the past economic and social history of Pasadena. Paul Shaw is a lettering artist and design historian. He was a co-founder of Legacy of Letters in 1996. Over the past twenty years Paul has led or co-led lettering tours and walks in Rome, Florence, Venice, Milan, New York, Philadelphia, Boston, Chicago, Los Angeles, San Francisco and other cities. Archetype Press boasts an extensive collection of rare American and European foundry type, wood type, and ornaments originally belonging to Vernon Simpson’s legendary typesetting shop in Hollywood. Under the leadership of professor and current director Gloria Kondrup, this collection is among the largest of any design school in the country. We recommend a hat, a bottle of water, and comfortable shoes. A limited number of 8-foot tables are available to rent for $50 on Friday, October 7 from 11:00 am to 4:00 pm, with time for set-up and break down before the keynote speaker. This event doesn’t require admission into the Huntington. It is open to the public and all Huntington visitors. If you would like to reserve a table, email aphaconference2016@gmail.com for details. Space is limited, tables are on a first come, first-served basis. The Huntington Library has unparalleled collections of early printed books, manuscripts, photographs, prints, and ephemera. Founded by railroad magnate Henry E. Huntington in 1919, the library’s ten-million item collection has strengths in British and American history and literature, Western Americana, the history of science and technology, and the history of books and printing. Mr. Huntington was also interested in art and botany, and today the Huntington includes a number of galleries and a 120-acre botanical garden. The Huntington recently completed a multi-million dollar expansion that includes a state-of-the-art auditorium with seating for 400, new spaces for classes and meetings, dining facilities, a gift shop, and additional gardens. The conference activities will be centered in this new Steven S. Koblik Education and Visitor Center. Exhibitions on view during our conference include Chinese Woodblock Prints from the 16th through 19th centuries and Lari Pittman’s Mood Books. Please Note: The Huntington Library is one of Southern California’s premier rare book and manuscript libraries open only to qualified scholars. If you would like to do research at the Huntington Library while in town, you will need to apply and register in order to do so, allowing at least three weeks for processing of your application. Registration is by appointment and subject to availability. Details are on the Huntington’s website. For their generosity and support of the 2016 conference, APHA would like to thank the Huntington Library and its staff, Hoffmitz Milken Center for Typography and Archetype Press at ArtCenter, the Bibliographical Society of America, the Getty Center, the International Printing Museum, the Zamorano Club, and the Southern California Chapter of APHA.